President Donald Trump was seen with Omarosa Manigault Newman. ‘‘When you give a crazed, crying lowlife a break, and give her a job at the White House, I guess it just didn’t work out,’’ Trump said. ‘‘Good work by General Kelly for quickly firing that dog!’’ John Kelly is White House chief of staff. When you give a crazed, crying lowlife a break, and give her a job at the White House, I guess it just didn?t work out. Good work by General Kelly for quickly firing that dog! While Trump trades in insults on a near daily basis, deeming Manigault Newman a ‘‘dog’’ was a stunning move. He has also pushed back against Manigault Newman’s claim that she had heard an audiotape of him using the N-word. 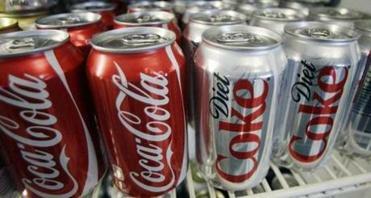 The former White House staffer says she’s researched the topic and found a BU study linking consumption of diet beverages to increased chance of stroke and dementia. Trump insisted, ‘‘I don’t have that word in my vocabulary, and never have.’’ He said Manigault Newman had called him ‘‘a true Champion of Civil Rights’’ until she was fired. Earlier, Trump accused Manigault Newman as ‘‘wacky’’ and ‘‘not smart’’ after his former co-star revealed her recording of a phone conversation with the president. On Twitter, Trump declared Monday that she had been ‘‘fired for the last time,’’ a reference to her appearances on his reality TV show. He said Kelly had called her a ‘‘loser & nothing but problems,’’ but he himself had tried to save her job — because he liked her public comments about him. ‘‘I told him to try working it out, if possible, because she only said GREAT things about me - until she got fired!’’ Trump tweeted. First lady Melania Trump, meanwhile, is disappointed that Manigault Newman ‘‘is lashing out and retaliating in such a self-serving way, especially after all the opportunities given to her by the President,’’ said White House spokeswoman Stephanie Grisham. 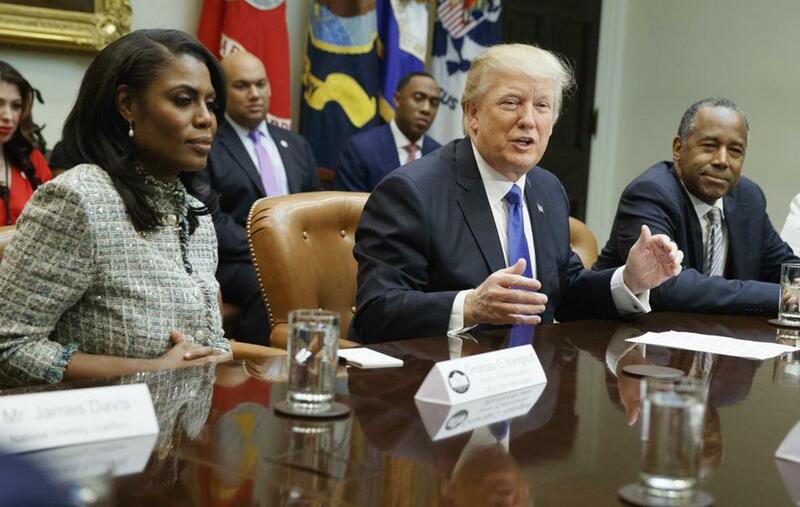 Trump’s battle with Omarosa underscores the racial tensions that have defined his presidency. He notably blamed ‘‘both sides’’ for violent clashes between white supremacists and counterprotesters in Charlottesville, Virginia, a year ago and has questioned the intelligence of other prominent black figures including California Rep. Maxine Waters, basketball star LeBron James and TV journalist Don Lemon. He also has targeted black NFL players for kneeling in social protest during the national anthem. Manigault Newman also alleges that Trump allies tried to buy her silence after she left the White House, offering her $15,000 a month to accept a ‘‘senior position’’ on his 2020 re-election campaign along with a stringent nondisclosure agreement. Meanwhile, Trump’s attorney, Rudy Giuliani, said on ‘‘Fox and Friends’’ Monday that Manigault Newman may have broken the law by recording private conversations inside the White House. ‘‘She’s certainly violating national security regulations, which I think have the force of law,’’ Giuliani said. Manigault Newman said she viewed the conversation as a ‘‘threat’’ and defended her decision to covertly record it and other White House conversations, saying otherwise ‘‘no one’’ would believe her.